The Baptist Town Cottage Project has outcomes that are immediately apparent: families have decent, safe places to live. To expand the impact this project has further, our project team has folded in empathy, skills training and design thinking. This has included the Ladies in the Landscape storm-water demonstration garden, employing neighborhood residents throughout construction, and creating carpentry and landscaping details based on the preferences of each home owner. Now, as the closings are being completed for each home, Cottage buyers are finding allies in the Federal Home Loan Bank of Dallas (FHLB) and Planters Bank and Trust. 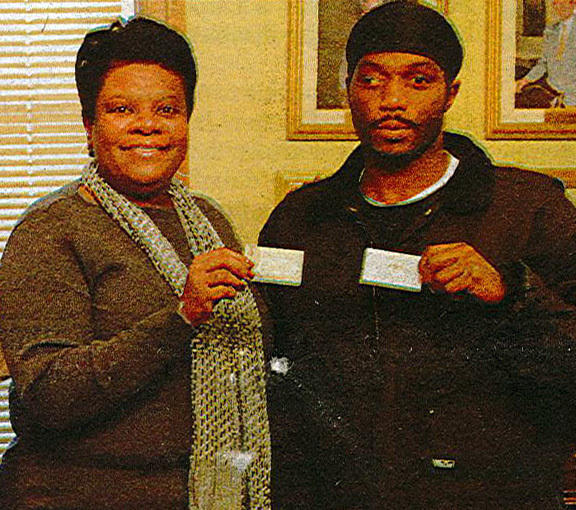 To date, FHLB’s Home Equity Leverage Partnership (HELP) program has provided down-payment assistance grants to eight families. Read the article about this grant success on the PR Newswire. My favorite part is this great picture of Brenda, and her story. On Thursday, December 18th we celebrated the first families moving into the Baptist Town Cottage Project with a ribbon cutting ceremony. I was moved by the number of people who attended. Throughout the project, support has come from numerous individuals and organizations. I think that this generosity is rooted in an understanding that home is about more than walls and a roof, it is an avenue to financial stability and physical and emotional health. Just as important, I think the commitment that the larger Greenwood community has given to this project shows that a home is also what surrounds the structure. 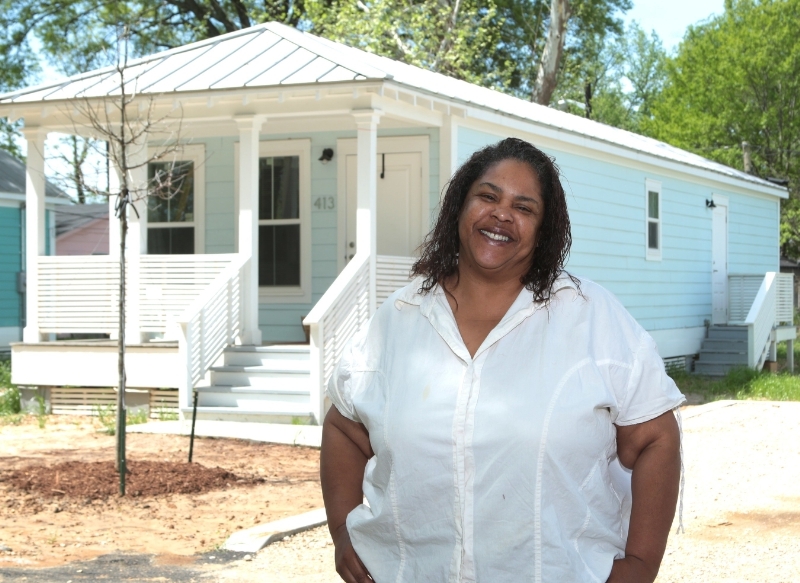 Healthy homes will lead to a more vibrant and equitable Greenwood. Thank you Greenwood! For a video of the day visit Mississippi State University’s website where the Office of Public Affairs covered the ribbon cutting ceremony. Work began on the CREATE: New Houlka project on Tuesday. The design, which delineates a walking path, bike path, and parking areas around the historic downtown square, is the result of a design-impact seminar I am co-teaching with Leah Faulk Kemp through MSU’s Carl Small Town Center. Students learned about and implemented community engagement activities throughout the first few weeks of the semester and then worked together to design a response to the needs and aspirations expressed by residents. Based on community feedback, the primary goal of the project became to attract both local and non-local people (walkers, bikers, drivers, and festival go-ers) to the square. 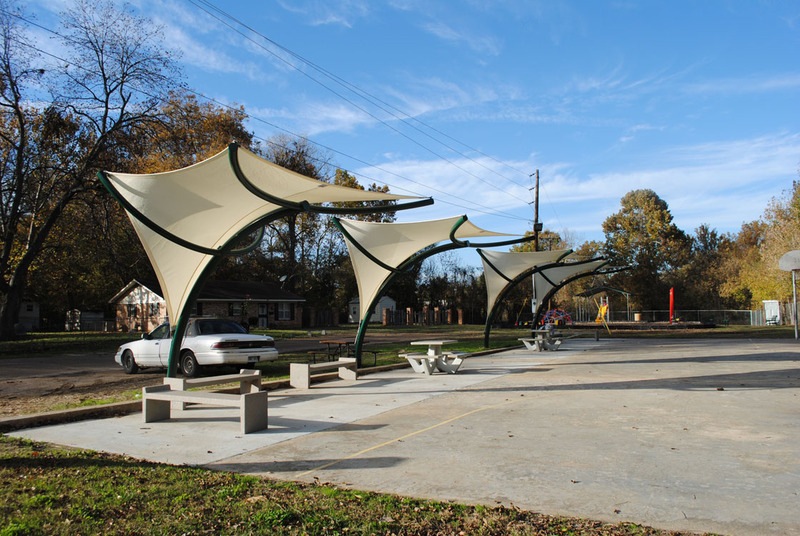 In particular, residents and community leaders hope to attract bicyclists from the new Tanglefoot Trail (a 43.6 mile Rails to Trails conversion that opened in October 2013) to visit New Houlka, even if just for a spin around the newly painted square. Here’s a link to the video of some news coverage we got yesterday! The Baptist Town neighborhood has austere statistics in terms of the poor quality of housing, low home ownership rates, and homelessness. These challenges largely inspired the Baptist Town Neighborhood Revitalization and are among the primary reasons that my fellowship exists. Despite this great need, plans to install a minimum of eleven new homes in the neighborhood could not be brought to fruition this year for a number of reasons. After initially being devastated by what felt like a failure, my hosts and I rallied around the myriad other ways to positively impact Baptist Town. Safer, more attractive pedestrian routes were created at the entry points to the neighborhood, we completed two parks, a playground, new signage throughout Baptist Town, and held the largest Community Day celebration to date, GOODat Day. New seating, shade structures, and the playground in the background. Each of these activities reminded us that as important as housing is, it is one component of the multi-faceted approach needed to bring about long-term change in this neighborhood. One of my hosts, the Greenwood-Leflore Economic Development Foundation, provided the leadership that allowed us to respond to one of the other great needs in Baptist Town: employment. Building upon the skills residents shared during GOODat Day, we offered a competitive small business grant. We awarded the grant two weeks ago. Along with the funds, two grant winners have received business cards and will participate in four question and answer sessions with local experts who can help guide their fledgling businesses. Our grant winner has already reported that because of the equipment he was able to buy with the grant funds he has been able to continue detailing cars in cold weather and his profit margin has increased. Though we are working hard now in hopes of beginning the housing component of the neighborhood revitalization as early as January, this work has given us insights into how to more holistically respond to the needs of the Baptist Town community. As the first year of my fellowship quickly wraps up, I am looking forward to a second year in which new homes are realized, and we can support this work through education, health, and employment related initiatives. Based on the discovery of GOODat, and the possibility for spreading love that it brought, we began planning the third annual Baptist Town Community Day around a theme of asking and showcasing what the residents of Baptist Town are good at. We asked each other in meetings, “What are you good at?”, and my co-planner Carl Winters and I asked people as they walked, drove or biked down the street, “What’s your GOODat?” Sometimes people were uncomfortable with the question, sometimes they had lengthy answers, but what became clear is that the residents of Baptist Town (and Greenwood) are GOODat a lot things. Face painting also began at this time, and Keyauna Gatston showed her artistic skill throughout the day. The most common answer to the GOODat question was “cooking”. Residents volunteered to cook and serve chicken, ribs, hot dogs, hamburgers, baked beans, cole slaw, and fruit. Willie Fisher, shown below, began manning the grill at 8 AM and was still serving up chicken and ribs when I left in the evening. While lunch was being prepared, the DJ opened up the mike to anyone interested in sharing a musical talent. Lady Trucker, a professional singer, got the crowd dancing with her music, and she was followed by a praise dance by a local teen. There was about an hour of rain in the afternoon, but few people left the event, and stayed to enjoy afternoon activities including art, bingo, a cake walk, more face painting, the inflatables and the new playground. Rosalind Wilcox led the art activities and created house numbers and name plates for residents to attach to their homes, while many residents painted their own sign boards. While many resident shared what they are GOODat through activities, others wrote on the GOODat chalkboard (to be hung in the neighborhood community center when it is complete), shared their stories of growing up in Baptist Town with the event videographer Dash Brown, or included their skills as a door prize in the form of a GOODat gift certificate. Raffle winners could choose from a hair cut, nail art, dance lessons, or car detailing from their entrepreneurial neighbors. Throughout the day and the planning process, I was impressed with the many volunteers who shared their time and efforts and the support from the greater Greenwood community (especially the City Public Works Department). As we asked each other, “What’s your GOODat?”, I believe we were acknowledging that we are all valuable, and that was the magic of the day: each individual and what they contribute to the community by simply showing up. Saturday was the third annual Baptist Town Community Day. The theme was GOODat, and hundreds of residents came together and participated in activities celebrating the skills and talents of individuals and the neighborhood. Pictures of the day are coming soon, but here are some photos of the prep work that went into creating the blackboards used throughout the event.